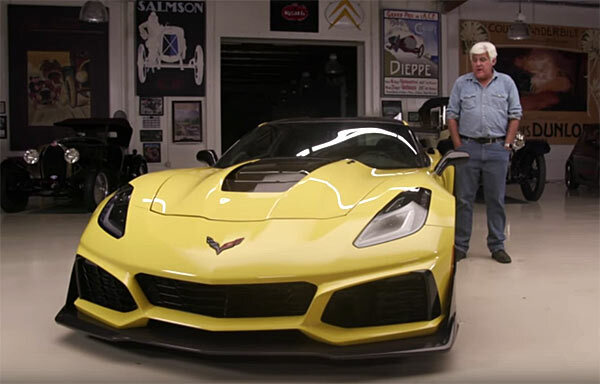 Jay Leno is one of the few guys who can make a denim shirt look effortlessly cool, but the focus here should be the new 2019 Corvette ZR1 which Jay takes to the Milford Proving Grounds for a spin, but firstly going through the car in detail with Shad Balcher, Corvette product specialist. The 2019 version of the ZR1 is pushed over 200mph in the video, but the rest of it stats. don’t just build on previous Corvette ZR1’s but also ups the stakes in the general American horsepower wars. With a 6.2-liter supercharged LT5 V8 the car can produce an incredible 755 hp and 715 pound-feet of torque through an 8-speed automatic transmission. 0-60 mph is hit in 2.85 seconds, a quarter-mile time in 10.6 seconds and 100 mph in 6.0 seconds. The ZR1 also has the looks to rival any supercar out there. Check out the full close-up and personal video of the 2019 Corvette ZR1 below, it definitely won’t disappoint. Next Story → Edelbrock’s AVS2 Carburetor: Can It Match An EFI?